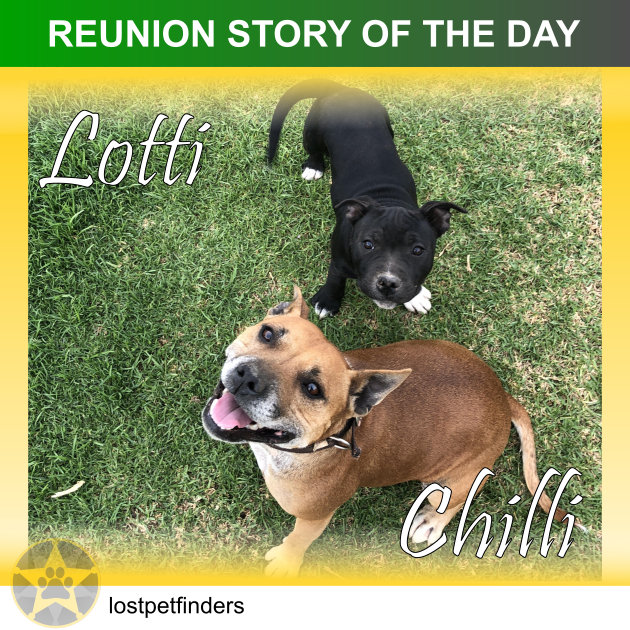 "Lotti is a bouncy pup from my girl ‘Chilli’s’ 3rd litter. She is 3 months old and a darling! So is her mum! My dear son left the gate open Saturday late afternoon when he came home from soccer...Chilli and Lotti thought they’d go exploring. When I went to feed them that night I realised they were gone. We were all devastated and spent until 3am driving around the neighbourhood calling for them...sorry neighbours! Didn’t sleep much after that. Then come first light I went out again with no success. I had to go to the shops for a few things and left my phone home. I arrived home and my son came out with good news. The council had bought them back while I was out. The lesson from this is to have your contact details on their collar and never take your dogs collar off! "I was told by the vet that a man saved her from getting run over on a major road where we live and took her to the vet clinic the same day she went missing. The vet then kept her at the clinic over the w'end, he was going to drop her off at the local pound on Mon but he saw my "Lost dog" sign that I placed in the vet door Sat arvo after I finished work (they had already closed for the day) and rang me Sun morning. 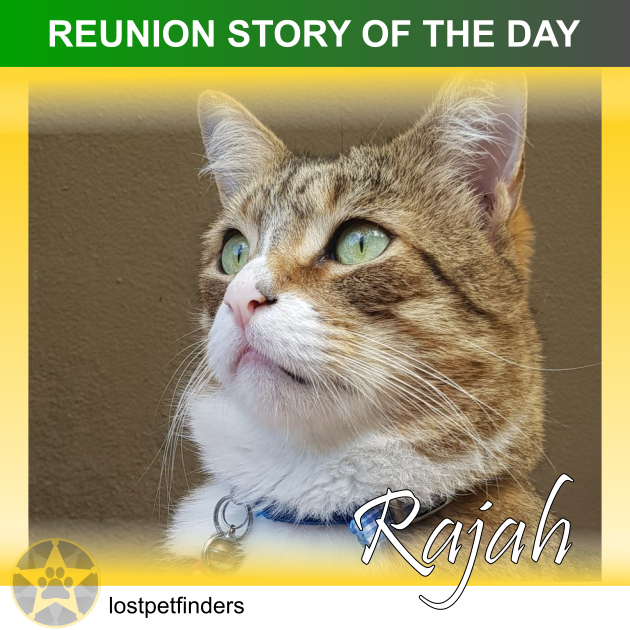 "Raji is a tabby/white DSH from the Cat Protection Society, he is 7 and I have had him since he was 2 months old. I adopted him a couple of weeks after my first cat, Joseph died, as I was suffering terribly from 'empty arms syndrome' and couldn't bear not having that beautiful little soul around the house. I let him out into the garden for a run in the fresh air as usual on Friday night, thinking that the garden is secure and he has never once escaped all his life. However, this time, somehow, and we still don't know how, he did get out. I closed the back door behind him to avoid him bringing in mice, as he has recently started doing - again, he has never done this before a few weeks ago. Not sure if it is the long hot summer, but we have had a lot more mice lately. When he disappeared I felt shock, disbelief, fear that he had eaten a mouse that had been poisoned and crawled away somewhere in pain, or to die. Then huge grief - I can't recall the last time I cried so much. I walked around the neighbourhood many times to look for him. Concentrated on any out-of-the-way hiding places he could be and drains, dark corners, etc. Told the neighbours and asked them to keep an eye out. I added his details to your website and made missing posters and stuck them up around the neighbourhood. It all felt pretty futile as he could have been anywhere but I (and my housemate) were so upset, we had to do something to keep ourselves busy. Neighbours looked for him, even locals we didn't know did the same. Strangers who saw me sticking up posters empathised and wishes me well. It helped me to know I was doing all I could and the FB messages I got from a few people were very sweet - some shared my post with other FB sites too. Some people talked about having found their missing pets and that gave me some hope. A few people (including you) suggested I look for him in the night time when it is quiet and I have a better chance of hearing him miaow and he had a better chance of hearing me call him. I went out around the neighbourhood at midnight and found him in the back lane, close to home, tired and hungry but otherwise fine. I am so grateful that I could ask the broader community for help, knowing many eyes were better than just mine and know that the message about his disappearance was getting out there. 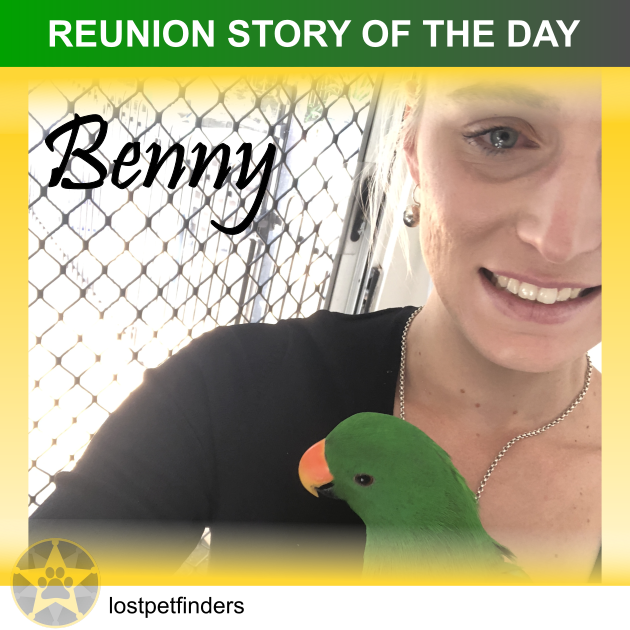 "My very cheeky Eclectus parrot made his way home around 8am 2 days after he escaped. They were the longest days I have ever had. I spent the whole day on the 19th searching high and low, walking in the bush, riding a quad, doing laps of our suburb, sending out flyers, I paid to send out the sms, email and automated phone call. When I returned to work I was relieved to get a phone call that he had flew straight into the tree at the house across the road from me! I’m so thankful for my friends and family who helped me search, shared my post and sent messages of support. They are amazing and such smart animals and I knew he would survive I just had to stay positive and know that all I had done in the first 24hours were enough! 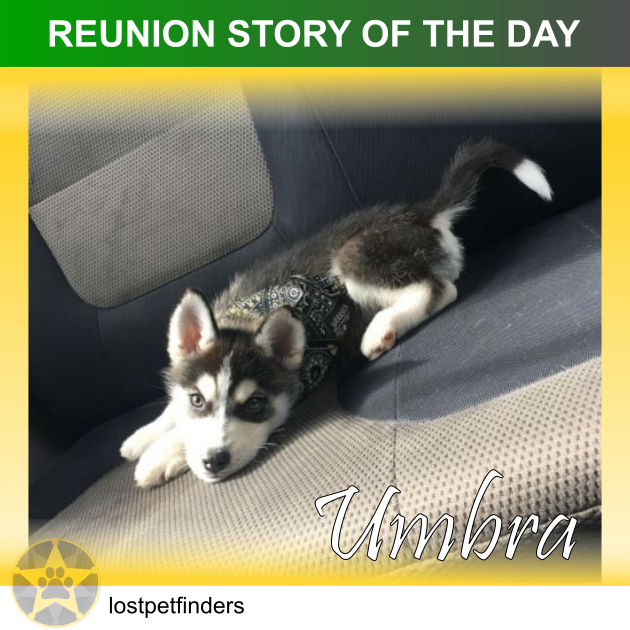 "I got Umbra when he was 10 weeks old. Having just moved towns and into my own home with my partner and his Kelpie, we slowly realised that she would be happy with a companion whilst we were at work. I thought for a while on getting a husky and saw umbra's picture online; he was the most beautiful pup and he was the last one left! After a few days, I got the go-ahead from the breeder stating I could come meet him and put a deposit on him. A few days later I picked him up and our adventures began! Our Kelpie, Frejha, loved him immediately. Her actions were almost motherly; checking up on him all the time and always wanting to be near him. Everyone loved him. Leaving for work every day, I had faith that they would entertain each other and everything would be fine until that horrible Thursday afternoon when my partner got home and found he was missing. That night was the worst night of my life. We alerted the breeder and went about checking neighbours yards - to no avail. I spent most of the night awake; going outside to call him and shake his bowl of food. He didn't return though. We made Facebook posts and I entered him as lost into Lost Pet Finders. 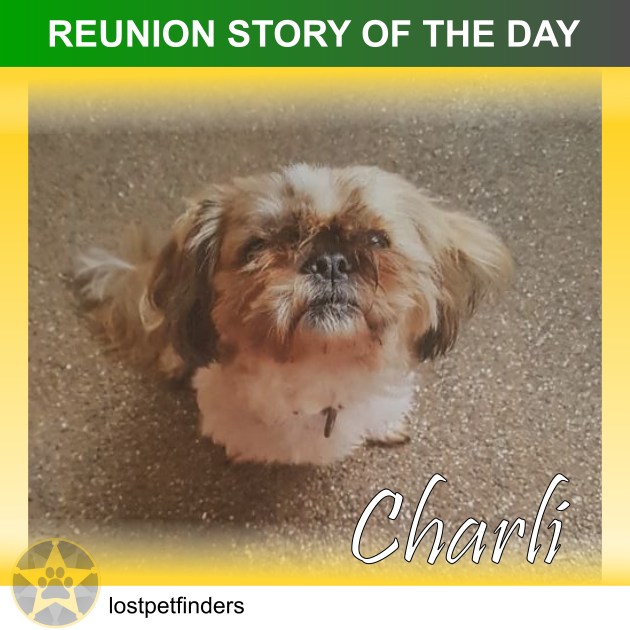 We alerted vets and rescues and shelters as well as the council; providing them with his microchip number, name, breed and our contact details. Every day we were calling and visiting shelters to see if he had come in. We made flyers and door knocked and checked the CCTV on our neighbours property; nothing. After a few days, we assumed someone had him and the fear and worry set in. None of us could get decent sleep. Are thoughts were filled with nothing but Umbra. Frejha physically cried and did nothing but sleep and that broke my heart. A week and a day later we received a tip-off of where he was at. I called my partner and breeder and after an hour and a half of waiting to speak to the people who had him; they confessed and handed him over. We are so fortunate that they looked after him even though they had done the wrong thing. All I hoped for whilst he was gone - was that he was warm, safe and fed. And he was. There were no ill-feelings toward the family that kept him. And the night ended peacefully. With Umbra back home, we are finally a happy family again and he has not left my side. I want to personally thank each and every one of the people that sent kind words, shared our post, offered to help hand out flyers and liking the post. Umbra's return couldn't have been possible without the persistence and effort all of you put into informing everyone. I honestly never thought I would see him again so soon. Thank you all! How Effective Are Microchips at Reuniting Lost Pets?